The spicy aroma from brewing this sauce is now permeating the house. 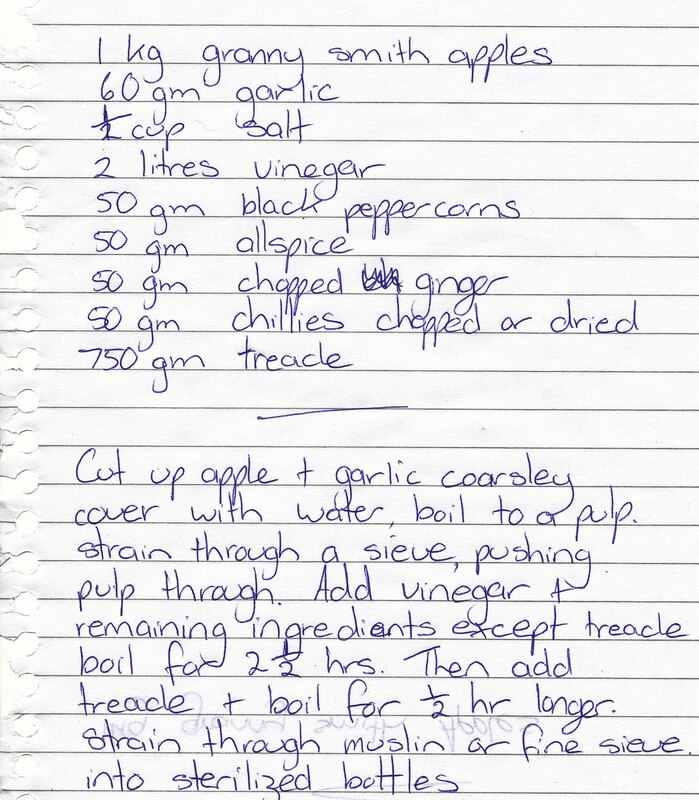 I usually only have to make this once a year, which is good as it takes a bit of time to make but this recipe will make 2 litres and last's for a long time. This is great for bbq's, but I like it on my weekend eggs. It is a lot spicier kick, with more flavour than the shop bought sauce. 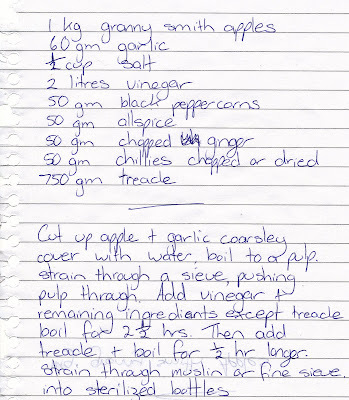 Had a few minutes to pop and line and check out your blog.. found this wonderful recipe, just said to my husband I am going to try this.. bless him he replies "can we wait till we get a house to make it in"